Are you so busy with work that you don&apos;t have time to hang out with your friends? Do you spend so much time on your phone that you rarely talk to people face-to-face? 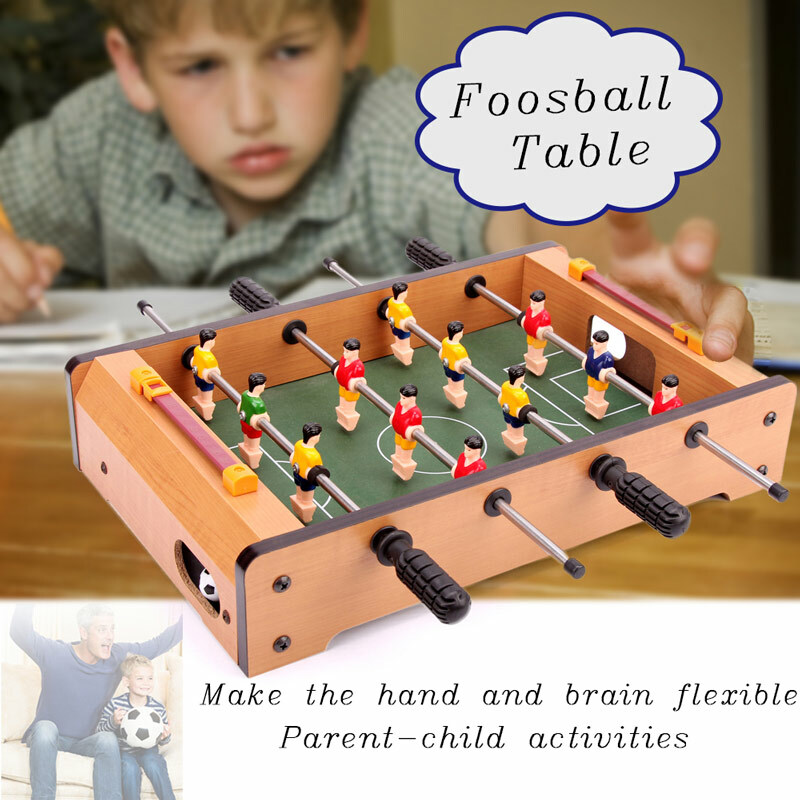 A foosball table will free you from the electronic world, bringing you and your friends / families some truly fun and quality bonding time. 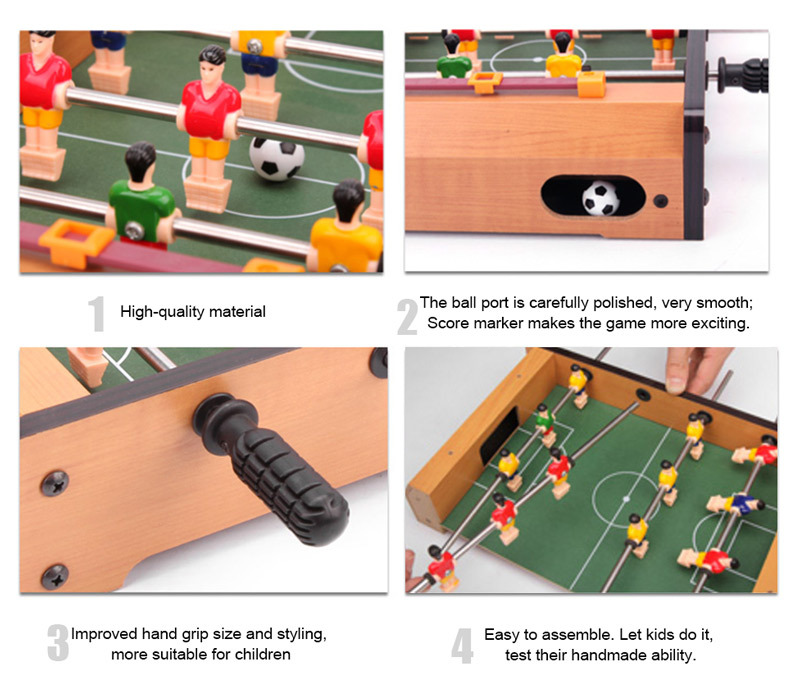 Foosball is an enjoyable and challenging sport that requires and increases your dexterity, power of concentration, patience, judgement and team spirit. It&apos;s good for both physical health and strategic competence, and it&apos;s one of the quickest ways to get you acquainted with your colleagues, classmates, or any new friends. The table also can be a cool gift to your teenager kids. 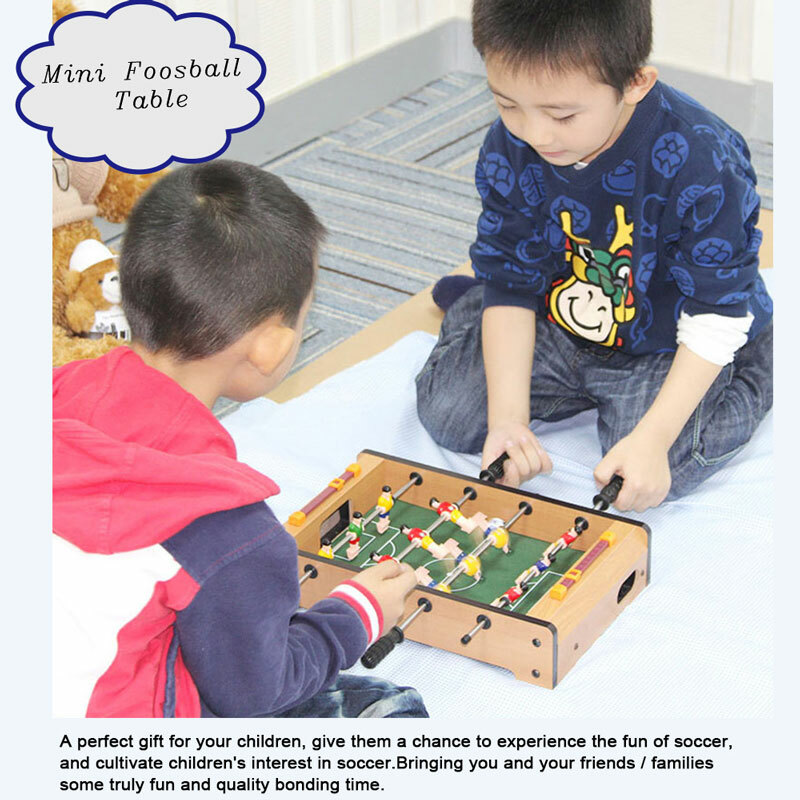 Made of sturdy medium density fiberboard and steel rods, our foosball table will bring you and your friends long lasting fun. 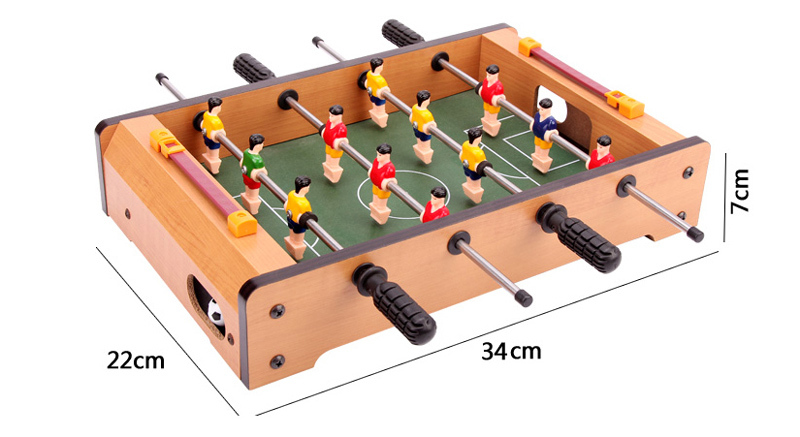 360° rotated built-in soccer figures, 4 rows, 3 players each row, 2 rows for each team. 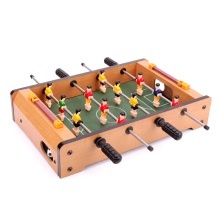 Suitable for indoor & outdoor, play in any place with a table or flat surface. Mini size, won&apos;t share too much space of your house and convenient storage. Different color teams, easy to play, bring fun and attract children&apos;s interest in soccer. A perfect gift for your children, give them a chance to experience the fun of soccer, and cultivate children&apos;s interest in soccer.